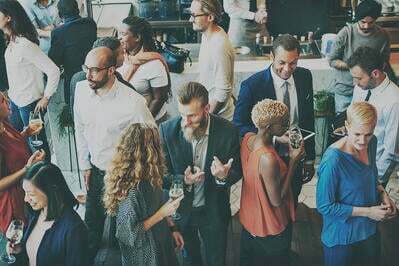 Think of the Internet as a web of connected servers. Everything online lives on a remote server somewhere. These assets are accessed upon request. For example, when you type www.YouTube.com into your browser, your request is sent to YouTube’s server. Then, when your browser receives a response back, it translates and displays it in your browser. That translation is the work of an application programming interface (API). Similar to SDKs, or software development kits, APIs help developers build apps more effectively and efficiently. 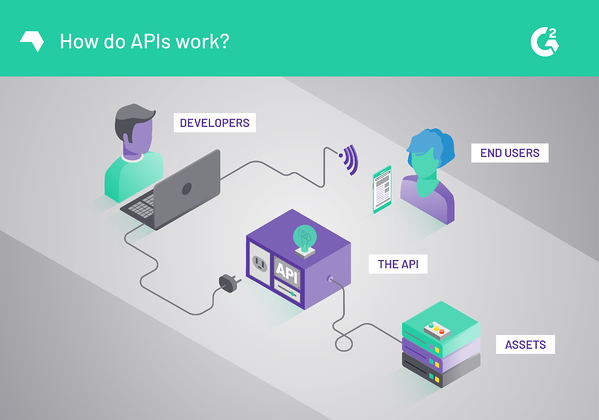 What is an API in simple terms? An API is essentially a messenger that takes requests, translates, and returns responses. When you sit down to order at a restaurant, the waiter takes your order, relays it to the kitchen, and returns with your food. In this scenario, the waiter acts as the API, or intermediary. They translated your request for pancakes from their handwritten notes, into the computer system, to the cooks in the kitchen, and then ultimately returned with your short stack. API stands for application programming interface. 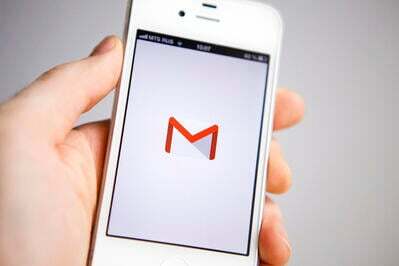 It allows two applications to communicate with one another to access data. Every action you take on your phone, like sending a direct message or checking the score of the baseball game, uses an API to access and deliver that information. APIs generally require an API key. Look through the API’s documentation for access instructions and requirements. The easiest way to use an API is to use an online HTTP client to help structure requests. You can also follow existing API documentation to build a URL in order to pull the data within your browser. In a way, developers “plug in” to APIs to access certain assets for end users. That being said, an API only provides select data its programmers have made public. If an API included everything from the program, what would keep the next developer from just copying the code? Or, how can you keep your promise of data security? The restaurant above isn’t going to give you Grandma’s super secret pancake recipe with a side of bacon. Furthermore, they won’t give your credit card number to the next customer that checks out. APIs are behind the scenes, but they are largely responsible for all of the interactivity we’ve come to expect in our world. APIs can speed up the app development process, which can help keep the app’s cost down. It’s important to keep in mind that developers use APIs from other services, but they can also build them for their own services. Let me explain. Uber’s developers initially relied solely on the Google Maps API for location services. But, now it relies on a mix of technologies, including their own $500 million global mapping project. To put it simply, if you can find the data you need for your app or service elsewhere, you should try to integrate it. If you can’t find exactly what you’re looking for, or see an opportunity where your data would be better for a specific use case, think about building out your own API. According to the Harvard Business Review, Salesforce generates 50 percent of its revenues through APIs. eBay and Expedia are seeing even greater returns with 60 percent and 90 percent respectively. APIs allow software applications to talk to each other, got it. But what are they saying? The language and syntax of APIs limit what you can ask for and get back. How can I find APIs? There are thousands of APIs on the market today. eBay and Salesforce first allowed access to their web APIs back in 2000. That is to say, you'll have to weed through a lot of different APIs to find what you need. If you know exactly what you’re looking for you can usually do a quick Google search for popular APIs. If you’re still trying to find the right fit, API marketplaces provide an easy “one-stop shop” to find relevant APIs and implement them. In general, APIs are used to integrate your service or app property with other third-party applications. Why rebuild Twitter to access public user data when you could securely access it somewhere else? Twitter’s API allows developers to access all kinds of profile information, like users’ searches, block lists, real-time tweets, and more – for a variety of use cases. For example, using the Twitter API you can integrate a Twitter feed into your website or application. Have you ever seen live tweets on a company’s website? There’s an API for that. There are also businesses that are built around APIs and their creative capabilities. Keeping with the Twitter API example, social listening and monitoring programs integrate with APIs to aggregate information from multiple social media platforms. 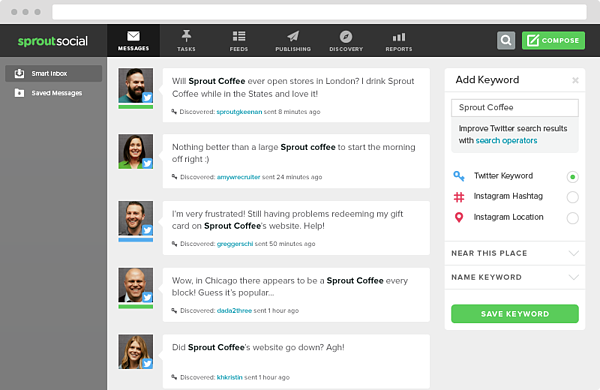 Sprout Social uses APIs to help streamline social processes for their customers. Their “Smart Inbox” uses Twitter’s API, as well as APIs from other social sites, to pull this feed data together all in one place. Information is in high demand. Additional data can greatly enhance your app’s user experience. API integrations make information quickly accessible for the developers, and that eventually trickles down to the end user by making your app easier to use. Ready for more? Learn about the differences between web apps vs mobile apps to find the best solution for your business. 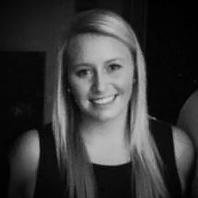 Bridget Poetker is a senior content marketing specialist at G2. Born and raised in the Chicago area, she graduated with a BS in Advertising from the University of Illinois at Urbana-Champaign. In her free time, you'll find Bridget in the bleachers at Wrigley Field or posted up at the nearest rooftop patio. During the 8 months of Chicago winter, she hibernates.